This kit will fit all the Mazda Rotary engines from 1986 To 2002. HERE IS WHAT YOU WILL GET IN THIS KIT. Water Jacket Seals Viton O-Rings (Rotor O-Rings) Dowel Pin O-Rings Rear Stationary Gear Front Cover O-Ring Injector Diffusers O-rings Front Hub Bolt O-Ring Front Main Seal Rear Main Seal (rear main seal may change color with out notice) Crank Angle Sensor O-Ring. 2mm Corner Seal Plug Set. 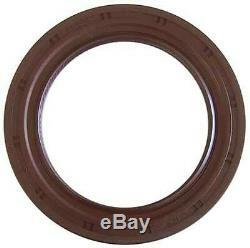 Atkins Rotary has come out with a new brown inner water jacket seal, its square cut and seamless. It is impossible to put this seal in wrong unless you twist it on accident. This new seal will take about 150 more heat than the stock seal. There are similar kits like this out there with lower quality parts for a higher price. We offer the best parts at the best price. Don't waste your time on other websites with inferior parts, when you have already found the best here. Did You know we can dynamically balance your engine pieces, or 3 mm your rotors, or CNC Dowel pin your engine to closer tolerances than most machine shop? We have a full machine shop that can help you modify your enigine for race tolerances and performance. We have been in business in Washington State since 1982, We manufacture and sell quality parts for your Mazda! Thanks for stopping by and have a zoom zoom day! 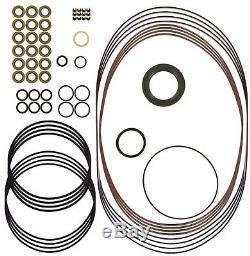 The item "Fits Mazda Rx7 Rx-7 Atkins Rotary Water O-Ring Kit (Are316) 1986 To 2002" is in sale since Wednesday, December 8, 2010. This item is in the category "eBay Motors\Parts & Accessories\Car & Truck Parts\Engines & Components\Engine Rebuilding Kits". The seller is "atkinsrotary" and is located in Eatonville, Washington.